I lost my great aunt and my grandmother this year. I lost my grandmother on my mother’s side a little over a decade ago. I was very close to all three women. I spent many hours at their houses as my courageous and beautiful single mother raised my two brothers and I. My two grandmothers and great aunt probably served over 100 years in the church between them all. 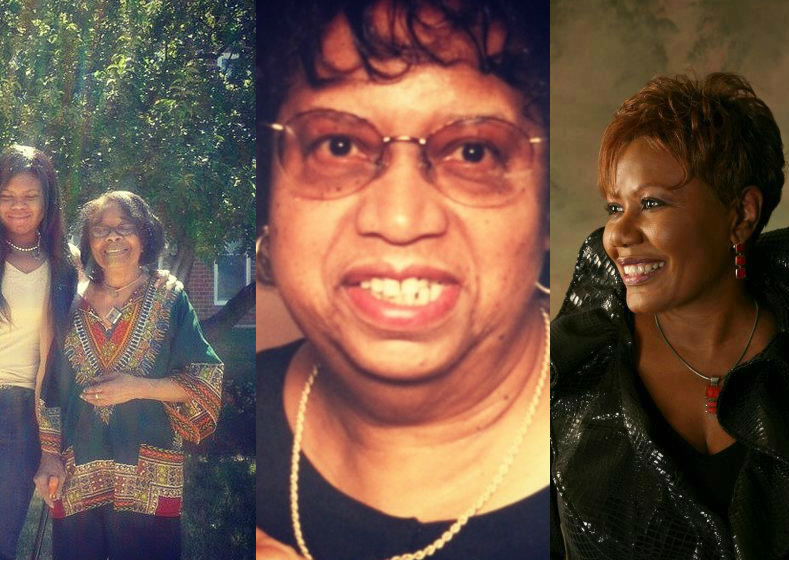 They were devoted, powerful, loving and committed women. I will mourn their lives with gratefulness and respect. I would not be the woman I am without their guidance. I would not be spiritual, passionate, feisty, penetrating, strong, compassionate, honest and maternal without their unwavering love and general influence. Whenever I was home and I missed my mom, I would bury my entire 6 year old body in her hanging clothes and inhale as hard as I could, just to get a whiff of her perfume laced fabrics. My mother’s closet always smelled sweet. She was and is glamorous and beautiful. She wore Christian Dior and Joop! perfume and brought home pashminas from Paris. When I was 15 she handed me a compact of Armani make up because it wasn’t her shade and I marveled at her nonchalant decadence. Nonetheless, I later learned that she wasn’t being extravagant, she was just a cultured woman who knew that in Italy Armani was like American Apparel. My mother collected rugs straight from Morocco that were so authentic, my high school friend Tina who was Dutch Afrikaner walked into my house and screamed “It smells like Africa!” and she had a little statue from some exotic place that my best friend Danielle and I would always break while we were rough housing in the house. She must have glued it together 50 times! My mom’s taste, class and patience (as I got older, I began to throw house parties, leaving maple syrup stains on her suede couch, and expletives written in sharpie in her crawl spaces) was like no other. Not only is she cultured, but she is probably the smartest women I’ve ever met. I watched her move her way up to senior executive status for some of America’s top nonprofits in Washington DC and later corporate entities that are house hold names. She obtained a 3.95 GPA in her master’s degree program…. what I’m trying to insinuate here is that filling her shoes has been something I decided long ago was a goal I did not want to pursue in fear that it was impossible. I like cowboy boots, rap music and rock and roll….of course, without my mother I would never know who Elton John, The Doobie Brothers and Cat Stevens are. She taught me about great female folk and jazz artists like Tracy Chapman, Eva Cassidy and Cassandra Wilson. She likes Jeff Buckley and Leonard Cohen, so I’m not sure if there is anything about me that didn’t derive from her. It’s a pleasure to be one. It’s an honor to come from a great one. I’m unapologetic about being a strong one. It brings me great joy to be a sweet one. I love you. Never be ashamed of existing. Never be convinced that you are less significant than men. You are the portal to this reality. You are the chosen path from one realm to another – this makes you a miracle and a phenomenon.